However, they say, 'Our destiny is shaped'. Life is full of ups and downs, and moreover, unpredictable. Money might not buy happiness, but can certainly buy you good health! Ultimately it's good health that keeps you going... Let's go through this 3-minute read to understand ways of protecting our health this 2018 along with understanding the importance of health insurance. We might have nagged and made weird faces since our childhood when we saw our not-so-favourite cuisines on the dining table. But, 'eat your vegetables, they are healthy', and some other common dialogues have made us grow from toddlers to adults. But, today, we don't value health until sickness knocks our door. In the synthetic world that we stay in, health problems are blooming each passing day. Let's have a look at the different ways you can protect your health from this impoverished soil and synthetic nutrition. Yeah, you'll heard it right! Stop that habit of mindless eating because the food that you eat needs its own time to digest. Start appreciating the meal you eat. Don't eat while watching your favourite TV daily soap. Many of us have a habit of continuously using our mobile phones even while having our meals. Hang on! No one will kill you if you get delayed to reply to that not-so-important WhatsApp message. Don't eat just for the heck of it. For instance, you might have seen those ready-to-make popcorns in your kitchen closet. Just don't cook them to munch on when really not required. Eat only when you are hungry. It is advised to have 6 or 8 small meals rather than indulging in 3 large meals. Because hydration is life-saving, it is recommended to drink at least 3 to 4 litres of water every day to avoid the consequences of dehydration. For that matter, even warm water works wonders. It not only helps you get rid of the stubborn fat in your body but also helps you lose those extra pounds. Experts recommend starting your day with a glass of warm water mixed with honey and some drops of lime juice. A sufficient water intake will help you in quenching your thirst, clearing your throat, proper functioning of your liver and kidneys as well as improving digestion thereby promoting good health. Living in this synthetic world simply means surviving more on junk and less on healthy stuff. We have almost forgotten those toddler days when our elders used to force us to eat all the possible veggies and home-cooked food. Experts recommend eating more salads or healthy eats such as sprouts. It boosts potassium and helps in lowering the salt intake too. Fresh fruits should be included in our daily diets. It is time we say goodbye to fancy food like pizza and burgers, and eat fruits and vegetables packed with nutrition instead. Diabetics should consult their health experts before having certain fruits due to high levels of sugar. Yes, since health should be your utmost priority, it is important that you work-out at least 4 times a week. If hitting a gym is not possible due to your hectic schedule, you may do some simple exercises like crunches, lunges and squats at your home to get rid of those extra kilos and keep yourself fit. Make an exercise plan and adhere to it strictly. If you aren't a person who enjoys working out, you may simply go for walks to boost your metabolism. Trust us; this will definitely help you burn calories. Our body burns more fat standing than sitting. So, use those staircases rather than elevators. Remember, every little effort taken will help you remain fit and healthy. Medical contingencies may strike anyone, anytime. Though there are people who feel they seldom fall sick and health insurance shouldn't be on their agenda, they are absolutely WRONG. 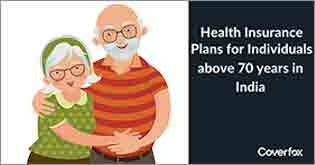 Irrespective of the age and gender, you should buy a health insurance policy to protect your as well as your family's health. 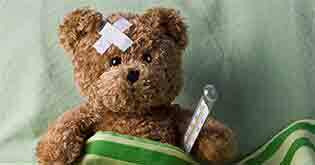 Health insurance helps pay off your medical bills in case of hospitalization. It helps you save your hard-earned money in case of medical eventualities. 1. Did you choose the right sum assured? Gone are the days when a sum assured of a lakh or two was sufficient. Today, due to inflation and advancement in medical technologies, the costs of medical treatments have reached sky high. 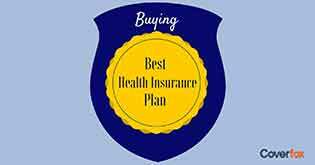 However, judging a health insurance policy merely by its sum assured and premium is a wrong way of buying a right health insurance policy. Therefore, analyse your personal medical requirements before deriving on the health cover you should ideally opt for. 2. Does your health insurance policy offer oodles of benefits? Ensure that your health insurance policy covers medical expenses incurred before as well as after hospitalization. Say for instance, follow-up medical tests. for a period of minimum 30 days before hospitalization and 60 days after hospitalization. A medical treatment done using a local or a general anaesthesia, requiring less than 24 hours of hospitalization is termed as day care treatment. It is a good feature to have in your health insurance policy to cover treatments such as eye surgeries, radiotherapy, chemotherapy, etc. Depending on the health insurance plan you opt for, expenses such as ICU charges, doctor’s fee, nursing expenses etc. are included under in-patient hospitalization. We all know that every health insurer will have a standard rule for pre-existing diseases. Usually, a waiting period of 2 to 4 years is applicable to cover a pre-existing condition. Lesser the waiting period, better the health insurance policy. Having lower caps and sub-limits on medical expenses will help you reap better benefits out of a health insurance policy. 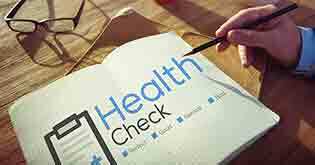 Some health insurance policies will offer you free medical check-up on a yearly basis or after completion of a set number of years. Therefore, keep this feature in your mind while thinking about a right health insurance policy. 3. Does the health insurer offer a strong network of cashless hospitals? Every health insurer will have a tie-up with certain empaneled hospitals to avail cashless hospitalization. Therefore, ensure you check the list of network hospitals that the health insurance policy offers. The more number of hospitals near your locality, the better it is for you. 4. Does your health insurer have a good claim settlement ratio? Well, a good claim settlement ratio is one of the important factors you should definitely consider while shortlisting a health insurance policy. This ratio is nothing but the total number of claims settled in a particular year against the total number of claims raised. Higher the claim settlement ratios, higher are the chances of your claims getting settled easily and in a hassle-free manner. 5. Did you compare the different health insurance policies available? With tons of health plans available today, it only becomes more confusing which one to opt for.! Well, comparing is the tool that comes to your rescue here. Coverfox.com offers the power to compare different health insurance policies under one roof. 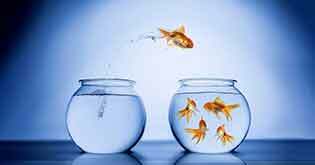 You may compare and choose one as per your requirement. Nevertheless, a healthy family is certainly a happy family. 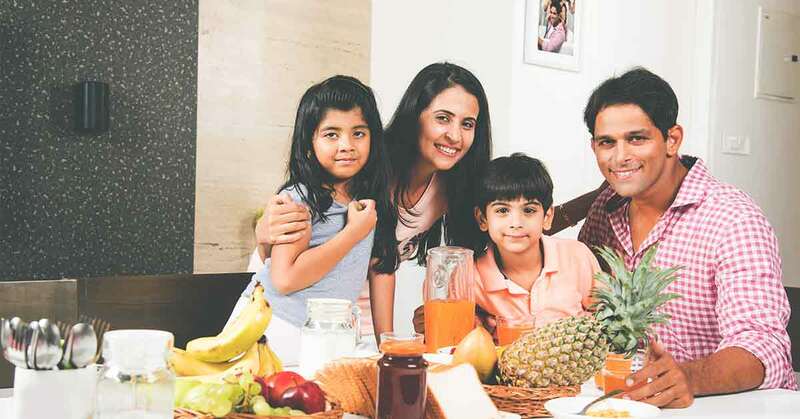 The health of the family lies in your own hands. Therefore, follow the above-mentioned tips that will help you lead a healthy life this 2018 and in the years ahead… 3 cheers to good health and a good health insurance policy! 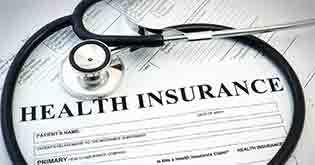 Recommended Read: How the Right Health Insurance Policy Protects your Medical Concerns?